Location: Kirtlebridge, Dumfries and Galloway, Scotland. 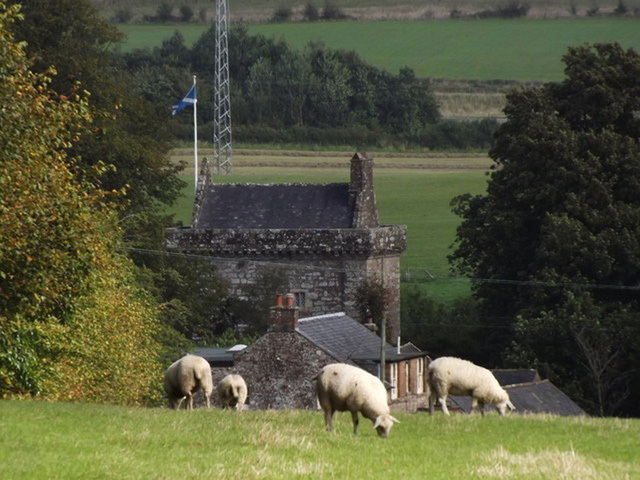 Notes: Bonshaw Tower is an oblong tower house, probably dating from the mid 16th century, one mile south of Kirtlebridge, Dumfries and Galloway, Scotland, above the Kirtle Water. It is adjacent to a 19th-century mansion. Bonshaw belongs to the Irving family. It was held in unbroken succession until the death of Sir Robert Beaufin Irving, a former captain of RMS Queen Mary, in 1954.